Murray is the owner of Webtrix® Technologies with foundations of making websites going back to 1998 when he made his first professional website. In 2001 Murray lived in Europe and worked for a billion-dollar USA company in their European Head Office in The Netherlands. During this period Murray's skills were considered essential to the Dutch Economy... Murray was the Head Web Developer looking after 18 countries in 16 languages... Murray also developed an internal Intranet for the 6 European Offices. During this time Murray maintained and continued to build websites for his own clients in several countries. In 2004 Murray returned to Australia and started Webtrix® Technologies. Murray built the Webtrix® Content Management System from scratch and it ran from 2004 until 2019. 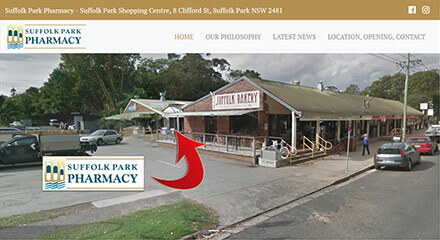 With the increased competition and the speed that responsive websites, and web coding in general, changes a decision was made in 2018 to move from rebuilding the Webtrix® Content Management System (CMS) and focus on individual, mobile friendly, all-in-one-page websites and focus on specific clients who can utilise these websites to increase their web presence. Since 2004 the majority if the Webtrix® Clients did not use the Webtrix® Content Management System to update their website so the need for a CMS is low and, instead, we now include up to 4 minor updates per year in your website hosting and maintenance fees. You have a trusted partner and ally with Webtrix® Technologies... we have been in business since 2004 and, unlike many companies, we have stood the test of time and we are here to stay. At Webtrix® Technologies we have the knowledge and talent to code your website whereas many others use free software, such as WordPress, have little to no technical experience and just plug your content in to free software. All websites that we build need to be hosted with us... we have our own dedicated servers and we know what are on them... you can have peace-of-mind knowing that you will have server admins monitoring the servers 24/7/365 which means you don't need to worry about website or email problems and you can focus on your business. When it comes to website hosting you get what you pay for... imagine a web server as a building... say the building costs $4,000 per month... now say you have 100 tenants paying $40 per month... each tenant has plenty of space and has no issues... if the rent is $20 a month then there needs to be 200 tenants to keep afloat... in this case there would be a strain on resources and issues from time to time... if it was $10 a month then there would have to be 400 tenants to keep afloat... that many tenants in the same space will create many issues... some tenants will not be accessible (such as your website or email will stop working). Now ask yourself this... how much is your time worth per hour? If your email stops working for 2 to 5 hours a month... how much is that worth to you? Do you have staff? If they don't have access to email how much will that cost you? On top of that if your website is down you could lose business... now $40 per month seems cheap... right? 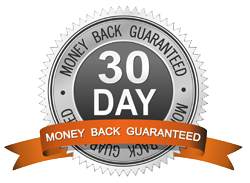 Means that we have such confidence in your new website that we will give you your money back if you are not completely happy within 30 days of signing up. Saying that... since 2004... no one has asked for their money back... we are just that good. Unlike many web development companies Webtrix® Technologies has transparent, fixed, pricing. You will find that most web development companies will not give you any pricing or rates on their website and will require you to contact them for any information... we think this is wrong. If you do spend your valuable time going down this path be very careful and wary of any quotes... a lot of the time the quotes exclude many things that you need... they use the quote as a hook to get you in and then the price increases and increases and you get stuck in a cycle where you have already spent so much money that you keep going and spend more and more... we are sure you have heard stories like this before. With the Webtrix® Technologies FIXED PRICE GUARANTEE and the MONEY BACK GUARANTEE you have peace-of-mind knowing exactly what you are getting and what you are paying for... no hidden extras. We have successfully been doing this since 2004 so don't let some fast talking web developer rope you in... complete the contact form below to get the ball rolling. Webtrix® Technologies has transparent, fixed, pricing... there are 4 main costs to a website... the creation of the website... your domain name/s... your website hosting and maintenance and any future updates and changes. You can have a website like this one for ONLY $995 including as many email addresses you want at your own domain name. If you would like to know more or order please contact us below. Webtrix® Technologies offers a fully managed service... all domain names are generally registered in 2 year blocks... the two most common domain names we register is .com for $30 per year and .com.au for $60 per year. If you need any other domain names we can help with that too. NOTE: we only register and manage domain names for our website clients. All websites made by Webtrix® Technologies must be hosted with us... we have our own dedicated servers and we know what is on them... this means that your website and email always works... we charge $50 per month, paid monthly via credit card standing order or $40 per month paid annually via bank transfer. All websites, like this one, include 4 minor updates per year as part of your Website Hosting and Maintenance. Your Website Hosting and Maintenance includes 4 minor updates per year... outside of that Webtrix® Technologies charges $119 per hour with a minimum charge of $42.50. Our business is to make sure all our clients are happy. The strongest advertising is word of mouth, and the best way to create word of mouth is to offer a service that surpasses all expectations. Here at Webtrix® Technologies we have our own dedicated servers and we know what are on them... this means that it is extremely rare that we every have any issues and you can have the peace-of-mind knowing that your website and email is always working. Once you become a Webtrix® Technologies client we will give you the information about the best way to get support. If you are not yet a Webtrix® Technologies client the best way to contact us is via the email contact form in the contact section below. 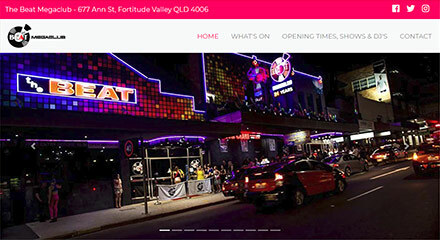 We generally keep standard business hours for Queensland however regually work outside these hours and the best way to contact us is via email. Webtrix® Technologies refers to Webtrix® Technologies, Webtrix® Australia Pty Ltd with ABN: 16 144 867 112, Murray Barnes, any person or entity, any and all resources created, acquired and used directly or indirectly, involved, but not limited to, the production, use, sale and resale of the 'Product'. The 'Product', 'Software', 'Website', 'Services' or 'Hosting' refers to anything created or supplied by Webtrix® Technologies. This includes, but is not limited to, websites, code, CSS, images, layouts, hosting, bulk emails, mailing lists and any other item acquired, created or supplied by Webtrix® Technologies. 'You' and 'Your' refers to the individual, company, entity, Your heirs, agents or successors contracting Webtrix® Technologies to produce the Product. This 'Agreement' is by and between Webtrix® Technologies and You and is made effective as soon as Your first payment has been received. This Agreement sets forth the terms and conditions of Your use, responsibilities and rights when using any Product supplied by Webtrix® Technologies and represents the entire Agreement between You and Webtrix® Technologies. By participating in payment, You acknowledge that You have read, understand and agree to be bound by all the terms and conditions of this Agreement, along with any new, different or additional terms, conditions or policies which Webtrix® Technologies may establish from time to time with or without notice. You may view the latest version of the Agreement at any time on the Webtrix® Technologies Website accessible via www.webtrixtechnologies.com. Webtrix® Technologies is bound by the Privacy Act 1988 (Cth), which sets out a number of principles concerning the privacy of individuals. We need to collect Your private information to be able to produce and supply Your Product. We do not share Your personal information with anyone other than, when necessary, our strategic partners, employees and anyone that needs to be informed to create, produce and supply Your Product. We may also need to share some, or all, of Your personal information to handling customer support enquiries, processing transactions or customer freight shipping. Those companies will be permitted to obtain only the personal information they need to deliver the service. Webtrix® Technologies takes reasonable steps to ensure that these organisations are bound by confidentiality and privacy obligations in relation to the protection of Your personal information. Our servers also collect non-personal information including, but not limited to, browser type, version and language, operating system, pages viewed while browsing, page access times and referring website address. This collected information is used solely internally for the purpose of gauging visitor traffic, trends and delivering personalised content to You while You... this is standard with every website You visit. You have a right to access Your personal information, subject to exceptions allowed by law. If You would like to do so, please let us know. All requests must be done in writing for security reasons. Webtrix® Technologies reserves the right to charge a fee for searching for, and providing access to, Your information on a per request basis. 1.1 Webtrix® Technologies is not responsible in any way, shape or form for the content supplied by, or added by, You to Your Website, Product or Hosting. Content includes but is not limited to text, images, code, css, logos, quotes etc. 1.2 Any fines or charges due to illegal content on Your Website, Product or Hosting, which has been supplied by or added by You, will be the sole responsibility of You. You hereby indemnify Webtrix® Technologies, and shall continue to indemnify Webtrix® Technologies, for all or any such fines or charges. 1.3 You give Webtrix® Technologies full, unrestricted rights to use any and all of Your Copyright Works solely for the purpose of the production of Your Website or Product. 2.2 You agree to indemnify and hold harmless Webtrix® Technologies from any claims resulting from the use of the Product, Software, Website, Services or Hosting which damages You or any other party. 2.3 Webtrix® Technologies will be the sole arbiter as to what constitutes a violation of this provision. 2.4 Webtrix® Technologies reserves all rights to suspend Your Product, Software, Website, Services or Hosting from any location if there is any breach of this term. 2.5 Webtrix® Technologies reserves the right to charge You for any time spent on enforcing any part of this clause at the Hourly Rate, the Fixed Price, plus any out of pocket expense. 3.1 Webtrix® Technologies takes no responsibility for the actions of any Third Parties used in the creation or Hosting of Your Website or Product. 3.2 Any recommendation or agreement made through or by Webtrix® Technologies on Your behalf relating to Third Parties, such as web hosting or domain name hosting, falls on the terms and conditions laid out by the Third Party and Webtrix® Technologies cannot be held responsible or liable for any downtime or loss. 3.3 Any issues created by a Third Party, that You have engaged, and directed to Webtrix® Technologies to research or resolve will incur a charge payable by You at the Hourly Rate, the Fixed Price, plus any out of pocket expenses. This includes, but is not limited to, email issues that are not our responsibility. 4.1 Unless otherwise agreed in writing by Webtrix® Technologies, the copyright and all other rights relating to any Product, Software, Website, Services or Hosting provided to You by, or on behalf of, Webtrix® Technologies pursuant to this Agreement (the "Intellectual Property") will remain the property of Webtrix® Technologies, or where applicable its licensors. This includes but is not limited to html, php, databases, style sheets, scripts, scripting, images, website design and content supplied by Webtrix® Technologies. 4.2 Upon payment in full for the Services provided by, or on behalf of, Webtrix® Technologies, pursuant to this Agreement, Webtrix® Technologies grants You a non-exclusive and non-transferable perpetual license to use the Intellectual Property for Your own business purposes. 4.3 Webtrix® Technologies warrants to You that, to the best of its knowledge, it has the right to grant the licenses referred to in this Agreement, and the use by You of anything provided by Webtrix® Technologies will not infringe the rights of any Third Party. 4.4 You must not copy any of the Intellectual Property for any purpose. 4.5 You must not de-compile, disassemble, decrypt, extract, reproduce or otherwise reverse engineer any part of any Software, Website or Product that is provided to You by Webtrix® Technologies without Webtrix® Technologies prior written consent. 4.6 You must hold any Software or Product (in source and/or in object code) and other materials provided to You by Webtrix® Technologies confidential. You must not disclose any of those materials to any Third Party without Webtrix® Technologies prior written consent. You must also take all reasonable steps within Your power to protect the Intellectual Property of Webtrix® Technologies. 4.7 You agree to pay a $10,000 breach payment for each breach of any of the Intellectual Property terms made by You within seven (7) days. You also agree to pay any court costs or fees associated in collecting this payment. 4.8 If clause 4.7 is enforced and payment has not been received within seven (7) days, in addition to Your responsibilities under clause 4.7, You also agree to pay interest on each breach payment, and any costs incurred, of 12.5% interest, compounding daily and, charged until the date of payment. 5.1 None of the Software, Products, Websites or Hosting provided, pursuant to this Agreement, are designed or intended to be fault-tolerant or designed or intended for use where their failure or malfunction could lead to economic damage. 5.2 You warrant that You will not distribute or resell any of the Software, Products, Websites or Hosting without the prior written permission of Webtrix® Technologies. 5.3 You will ensure that permitted end-users of such Products, Software or Hosting are provided with a notice in the form of a signed agreement agreeing to this Agreement. 5.4 You will indemnify Webtrix® Technologies for any loss, cost, damage or Third-Party claim arising from Your use of any Product, Software, Website or Hosting from any breach by You, or Your permitted end-users, of this clause. a) To the extent permitted by the law, Webtrix® Technologies expressly excludes all conditions and warranties whether express or implied. b) Notwithstanding any other provision in this Agreement, in no event will Webtrix® Technologies be liable to any party, including You, for any indirect, punitive, special, incidental or consequential damage in connection with or arising out of this Agreement (including for loss of profits, income, use, data, or other economic advantage), however it arises, whether for breach of this Agreement or in tort, and even if Webtrix® Technologies has been previously advised of the possibility of such damage. Further, liability for such damages shall be excluded, even if inclusive remedies provided hereunder fail their essential purpose. You will indemnify Webtrix® Technologies and keep it indemnified from and against any claims by You and any Third Party for or in respect of such damages. 6.2 Webtrix® Technologies warrants that at the time of creation Your Product, Service, Website or Software is in working order. If you do not agree to this clause You must state it, in writing, via email, before making final payment. By making final payment You agree and accept that Your Product, Service, Website or Software is in working order. 6.3 You acknowledge that the web development industry is always changing and that if Your Product, Service, Website or Software stops working at some point in the future You must direct this to Webtrix® Technologies to remedy, at Your expense, that will be charged at the Hourly Rate, the Fixed Price, plus any out of pocket expenses. 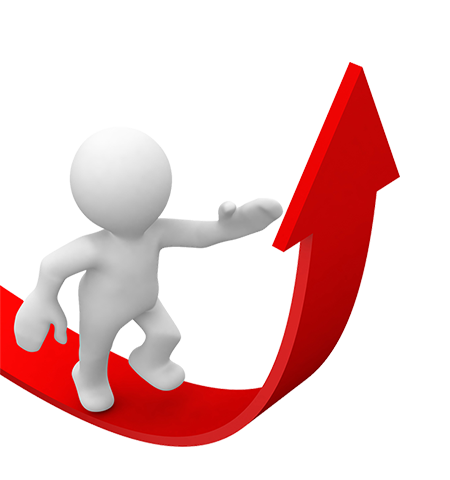 7.1 Search Engine Optimisation is a complex and involved procedure. Webtrix® Technologies will take every measure, to the best of its ability, to Optimise Your Website for Search Engines but does not make any claim to the rank You will receive on any Search Engine. 7.2 You are solely responsible for all Search Engine Rankings and will not hold Webtrix® Technologies liable in any way, shape or form for Search Engine Ranking. 8.1 You will provide Webtrix® Technologies with all reasonable assistance and facilities, free of charge, (including without limitation of the means of access, other items referred to in this Agreement, office facilities, and liaison with Your necessary officers and employees) in order to permit Webtrix® Technologies to efficiently provide You Your Website, Software, Product or Service. 9.1 You acknowledge that Webtrix® Technologies is providing Websites, Products, Software, Services and Hosting to You on a non-exclusive basis and that Webtrix® Technologies may provide Websites, Products, Software, Services and Hosting of the same or a similar nature to any other party. 10.1 Unless agreed in writing Your Website, Product or Software must be Hosted with Webtrix® Technologies. 10.2 Hosting is sold as a unit, generally monthly or annually, and You purchase that unit. There are no refunds for partly used units. 10.3 If You choose to terminate Your Hosting You will forfeit Your Website, Product or Software and any monies paid. 10.4 Any attempts to undermine or cause harm to a server or customer's server is strictly prohibited. Legal action will be pursued to the fullest extent of the law for all abuse of the network. 10.5 Your Website, Product or Software will be backed up daily to the server. 10.6 If You wish to have anything restored, from a backup, there is a minimum charge of $150, that must be paid before any restore takes place. If the restore takes more than one (1) hour You agree to pay for any additional time needed at the Hourly Rate. 10.7 Webtrix® Technologies reserves the right to change hosting suppliers and web servers without notice. a) You can mix and match Your 4 Minor Updates and swap 2 Minor Updates for a Standard Update or swap 4 Minor Updates for a Large Update. b) Webtrix® Technologies is the sole arbitrator on what constitutes the type and category of update requests. iii) a logo update, where the logo is supplied in the correct format and no additional work is required. iii) a logo update, where the logo needs additional work or is not supplied in the correct format. ii) a layout change to a section of Your Website. f) Any updates that are outside the Minor, Standard or Large Update will be charged at the Hourly Rate or at a Fixed Price. g) If You pay Your Website Hosting and Maintenance monthly You need to accumulate Your updates at a rate of one (1) every three (3) months paid. h) If You pay Your Website Hosting and Maintenance annually You have access to all four (4) minor updates whenever You want however they are accumulated each three (3) months for expiration purposes. i) You can accrue Your updates over a rolling twenty-four (24) month (two (2) year) period. j) If You do not use Your updates within the twenty-four (24) month rolling period You will forfeit any accrued updates older than twenty-four (24) months. k) Included updates are non-transferable and no-redeemable, nor refundable, for cash or credit. l) If you terminate your Hosting, under section 13. Termination of this Agreement, you forfeit all updates that have been accrued. 11.1 Webtrix® Technologies highly recommends having Your Domain Name/s hosted through Webtrix® Technologies. This ensures that You will get the best Service possible. Webtrix® Technologies constantly monitors all Domain Name/s managed by Webtrix® Technologies and ensures that Your Domain Name/s do not expire without Your permission. 11.2 If You choose not to host and manage Your Domain Name/s with Webtrix® Technologies You will be solely responsible for them. If they expire and You do not realise or if there are any issues with Your Domain Name/s, that You manage, and You refer it to Webtrix® Technologies for investigation You agree to pay Webtrix® Technologies the Hourly Rate to remedy any problems. 11.3 From time to time DNS and Name Server changes are required. If Webtrix® Technologies hosts and manages Your Domain Name/s these changes are applied as part of the management and you do not need to do anything. If Webtrix® Technologies does not host and manage Your Domain Name/s it will be Your responsibility to make any DNS or Name Server changes. 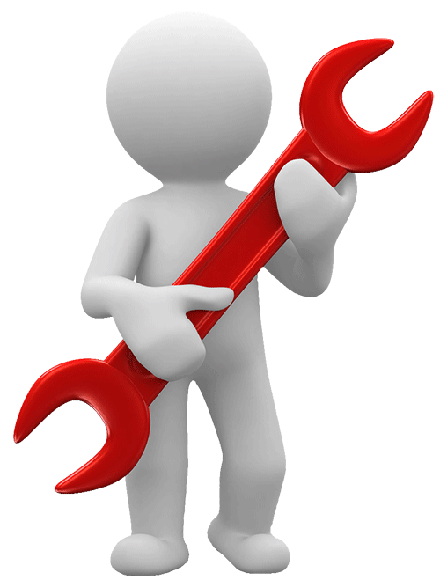 Webtrix® Technologies will give You a minimum of 48 hours' notice of any change required. If You do not action the request within the timeframe given and Your Website, Product or Software stops working, due to this, You agree to hold Webtrix® Technologies harmless and it is Your sole responsibility to rectify the problem. 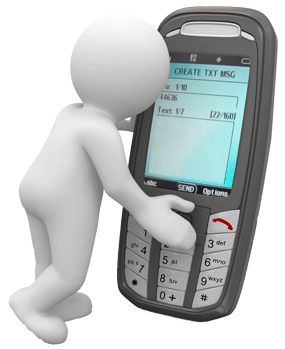 If You want Webtrix® Technologies to do any updates You will be charged at either the Hourly Rate or the Fixed Price. 11.4 All Domain Names registered on Your behalf, through Webtrix® Technologies, or transferred to Webtrix® Technologies, will be registered in Your name and will become Your property once payment has been received. 11.5 Until payment has been received all Domain Names remain the property of Webtrix® Technologies. 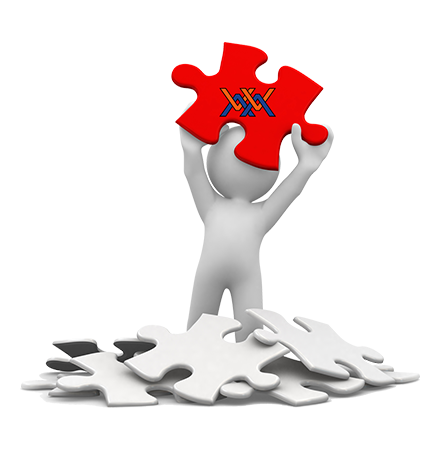 11.6 Webtrix® Technologies offers a fully managed service. All Domain Names are registered under our master Domain Account and You do not have any access to it. 11.7 As long as Your payments, all payments, are up-to-date You can transfer Your Domain Names away from Webtrix® Technologies at any point in time giving Webtrix® Technologies written notice that You are doing so. 11.8 If Webtrix® Technologies hosts and manages Your Domain Name/s to make any changes or updates to Your Domain Name/s You must contact Webtrix® Technologies in writing to make the request. 11.9 If Webtrix® Technologies hosts and manages Your Domain Name/s it is Your sole responsibility to update Webtrix® Technologies if any of Your personal information changes, such as address, so that Webtrix® Technologies can keep Your Domain Name information up-to-date. 11.10 Domain Names are generally registered in 2 year periods and are non-refundable once registered. 12.1 Webtrix® Technologies works on seven (7) day invoices. Any payment not made within seven (7) days will be marked as overdue. 12.2 Webtrix® Technologies owns all work and content relating to any Website, Product, Software, Service or Hosting until final payment has been received. 12.3 Webtrix® Technologies reserves all rights to suspend any Website, Product, Software, Service or Hosting from any location if any payment due is outstanding for more than seven (7) days. 12.4 Payment needs to be made as stated in the payment type. Any transfer fees or charges, subject to the terms and conditions laid out by Your bank, must be paid by You. 12.5 Either a 50% deposit or an agreed amount needs to be paid for any Website, Product, Software, Service upfront before any work starts. 12.6 If Your Website, Product, Software, Service has a total price of more than $5,000 milestone payments will be put in place and will be due as the milestones are met. 12.7 If Your Website, Product, Software, Service has a total value of less than $5,000 the final payment is due either when Your Website, Product, Software, Service goes live or at the 30-day mark when the Money Back Guarantee expires. If Your Website, Product, Software, Service is not finished by this point in time You are still required to make payment and we will continue to work on Your Website, Product, Software, Service until it is completed. To date all delays have been on the client's end. 12.8 Webtrix® Technologies prefers bank transfers for one-off payments. 12.9 Webtrix® Technologies also accepts MasterCard and VISA card. 12.10 Webtrix® Technologies only accepts Mastercard or VISA for monthly payments. 12.11 If a credit card payment is declined a $15 processing fee will be added for each attempt. A new attempt for the updated amount will be tried every 3 days. After a total of 3 attempts the payment will be considered as a failed payment and marked overdue. 12.12 Webtrix® Technologies prefers not to accept cheques. A $35 handling fee will be added for all cheques. 12.13 Webtrix® Technologies does not accept AMEX or other forms of payment, other than stated above. 12.14 If payment is outstanding for more than thirty (30) days Your Website, Product, Software, Service will be terminated and all outstanding monies will become due immediately. c) By either party immediately, by notice in writing, if the other party takes any corporate action or other steps are taken or legal proceedings are started (and are not withdrawn, discontinued or struck out within twenty-one (21) days) for its winding up, liquidation or dissolution (other than for the purposes of reconstruction) or the appointment of an administrator, receiver, receiver and manager, official manager, Liquidator, provisional Liquidator, trustee or similar office of it or of any or all of its revenues and assets ("insolvency event"), and such insolvency event remains in existence in respect of such party as the time of service of the notice. 13.2 On termination of this Agreement, however occurring, all moneys unpaid by You, pursuant to this Agreement, will immediately become due and payable. If such moneys remain unpaid for a period of seven (7) days then (without prejudice to any other rights that Webtrix® Technologies may have for breach of this Agreement or otherwise) Webtrix® Technologies will be entitled to retake possession of the Website, Product, Software, Service and to disable any Website, Product, Software, Service provided pursuant to this Agreement (including by remote means). 13.3 Upon termination You forfeit Your Website, Product, Software, Service or Hosting and there are no refunds of any advance payments. 13.4 You also agree to pay any court costs or fees associated in collecting this payment including time spent by Webtrix® Technologies at the Hourly Rate. 13.5 You also agree to pay interest of 12.5% interest, compounding daily and, charged until the date of payment. 14.1 If Your Website, Product, Software, Service or Hosting is suspended, for any reason, under this Agreement You agree to pay a $250 Reactivation Fee before Your Website, Product, Software, Service or Hosting is reactivated. a) You consent that Webtrix® Technologies may use extracts from Your Website, Product, Software or Service for demonstration purposes to other parties. This includes but is not limited to screenshots, links to Your Website, Product, Software or Service, usage of Your Domain Name on letters, Curriculum Vitae's, websites and other materials provided always that such use does not mislead the public into believing that the Website, Product, Software or Service is Webtrix® Technologies' nor that You and Webtrix® Technologies are affiliated. b) You agree that 'Developed and maintained by Webtrix® Technologies' will be discreetly displayed on the bottom right hand corner of Your Website, Product, Software or Service. 16.1 Webtrix® Technologies currently charges AUD$119 per hour. 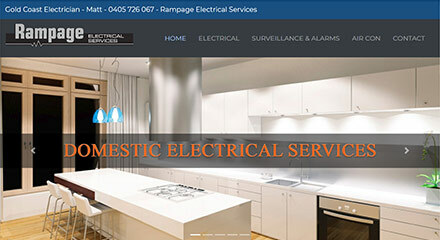 16.2 Webtrix® Technologies has a Minimum Charge of AUD$42.50. 16.3 Some items have a Fixed Price and are charged at the Fixed Price rather than the Hourly Rate. 16.4 Webtrix® Technologies reserves the right to change the Hourly Rate, Minimum Charge and any Fixed Price, at any time, with or without notice. 17.1 If You are not happy, for any reason, within 30 days of signing Your contract You can ask for Your money back and You will be given a full refund of all money paid. 17.2 Domain Names, Hosting and any out of pocket expenses are not included in the Money Back Guarantee. 17.3 If You wish to use the Money Back Guarantee You must do so in writing. 17.4 If You use the Money Back Guarantee all work and everything that has been, and not limited to, created, given or supplied by Webtrix® Technologies to You must be returned to Webtrix® Technologies and becomes and remains the property of Webtrix® Technologies. 17.5 By using the Money Back Guarantee You agree that You will not reuse, and not limited to, anything created, discussed, given or supplied by Webtrix® Technologies. 17.6 If You breach clause 17.5 You agree to repay all funds refunded under the Money Back Guarantee. 17.7 You agree that Webtrix® Technologies will be the sole arbitrator in determining if clause 17.5 has been breached. 18.1 Webtrix® Technologies has no contract period. You can cancel Your Website, Product, Software, Service or Hosting, as per section 13. Termination, at any time with 14 days' notice. 18.2 Upon termination You will lose any advance payments as per clauses 10.2 and 13.3. 19.1 Webtrix® Technologies does its best to test Your new Website, Product or Software on various different devices and screen resolutions. There are now so many variables that it is not reasonable, nor possible, to test all options. You agree that it is Your responsibility to report to Webtrix® Technologies any issues that You come across with layout on different devices. You agree that, at Webtrix® Technologies' sole discretion, Webtrix® Technologies will remedy any issue, at no charge, if Webtrix® Technologies determines that the issue could have been remedied at time of putting Your Website, Product or Software live. You further agree that if Webtrix® Technologies determines that the issue raised is a new issue and could not have been anticipated at the time of launch that You will pay Webtrix® Technologies to remedy the issue at the Hourly Rate or Fixed Price. 19.2 Any notice required or contemplated by this Agreement shall be deemed to have been duly given if it is in writing and sent by Webtrix® Technologies via email (electronic mail) to Your registered email address that Webtrix® Technologies has on file or by You sent to info@webtrixtechnologies.com. 19.3 You may not assign any of Your obligations under this Agreement without the prior written consent of Webtrix® Technologies, which consent shall not be unreasonably withheld. However, Webtrix® Technologies may arrange for subcontractors or employees to perform any of Webtrix® Technologies' obligations under this Agreement. 19.4 Webtrix® Technologies will not be liable to You or to any Third Party for any non-performance or delay in the performance of its obligations under this Agreement, if events or conditions beyond Your reasonable control cause the non-performance or delay and Webtrix® Technologies gives You prompt notice thereof. In no event will this provision affect Your obligation to make payments to Webtrix® Technologies under this Agreement except in respect of Products, Services or Hosting that are unable to be performed by Webtrix® Technologies, until they can be performed. 19.5 A failure, delay, relaxation or indulgence by either party in exercising any right, power or privilege conferred on the party by this Agreement shall not operate as a waiver of the power or right. A single or partial exercise of any right, power or privilege hereunder does not preclude the further exercise of the same right or the exercise of any other right hereunder. A waiver of a breach does not operate as a waiver of any other breach. 19.7 Should any dispute arise under this Agreement then the parties agree to attempt to resolve the dispute before either of them shall institute proceedings in a court of competent jurisdiction. The party with the grievance shall first serve a notice on the other party setting out the nature of the dispute and stating how the party wants to resolve the dispute. The other party shall respond within fourteen (14) days. If the dispute is not resolved the parties agree to attend mediation within thirty (30) days in an attempt to resolve the dispute. If the dispute is not resolved in forty-five (45) days the parties shall be at liberty to take such further action as they consider appropriate. The rules relating to this clause and how it will be put into effect shall be in accordance with the dispute resolution rules as set out by The Law Society, Queensland, Australia.